Use fire rated glass for vision, light and security. 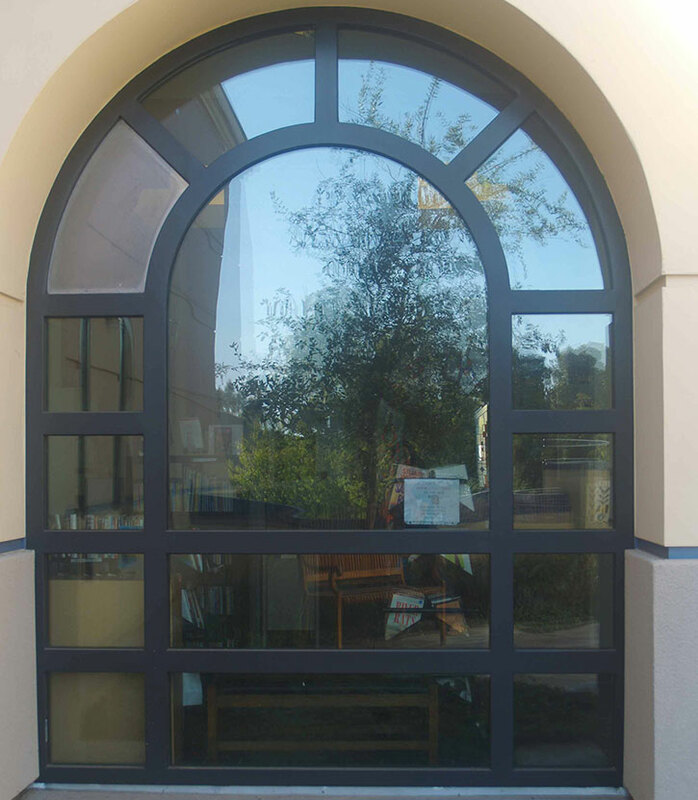 In this article, schools show ways that fire rated glass brings in natural light and protects against wildfire. Today, there are a wide range of glass and framing systems that are just as fire-resistive as conventional solid walls. These clear, new glazing solutions are also impact safe, an important consideration in schools. Using this new category of fire-resistant glazing, designers can create walls, doors, interior courtyards and other interior spaces that use large areas of clear transparent fire-rated glass. Not only do these new products give architects greater aesthetic design flexibility, but they help bring light into deep interior spaces, reduce energy use, reduce noise and improve security. Below are some examples of how architects used fire-rated glazing to create spaces that combine light, vision and aesthetics with maximum fire safety. While it is more common to use fire-rated glazing in the building interior, there are instances where the threat of fire comes from outside the building. This happens when a particular part of the building is in close proximity to property lines or when a building is in an area prone to wild fires (like in the photo on the top, a San Diego county elementary school in a wildfire zone.) Using fire-rated glass in these applications allows for natural light to illuminate the space while providing unobstructed views to the outdoors. 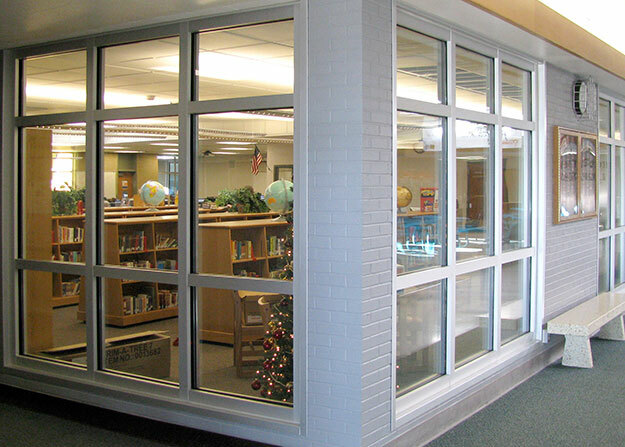 Fire-rated glass can also be insulated with low-e glazing to keep heat gain at a minimum. There are also instances where the interior fire rated glazing is required to match the look of the exterior non-rated glazing system. This offers greater transparency, better penetration of natural light and an unobstructive visual connection to the outside. Another strategy that architects employ is maximizing the daylight that comes through a skylight and flows into corridors, lobbies and other parts of the building. At the heart of the architect’s design for Freedom High School in Bethlehem, Pennsylvania was a huge skylight that was intended to let as much natural light into the space as possible. Since the interior courtyard wall required a 2-hour rating, SAFTIFIRST supplied SuperLite II-XL 120 to meet the fire safety requirements of the code and allow the daylight coming from the skylight above to penetrate into the classrooms and other adjacent areas of the school. Designers incorporate fire-rated glazing into walls, corridors and stairwells that separate occupancies and exits in order to provide shared light in interior spaces, decrease lighting and cooling loads and increase security with visibility. If you would like to learn more about the many ways that architects use fire-rated glass to optimize aesthetics, lighting, security, and energy efficiency while meeting code requirements, contact SAFTI FIRST at 888.653.3333.